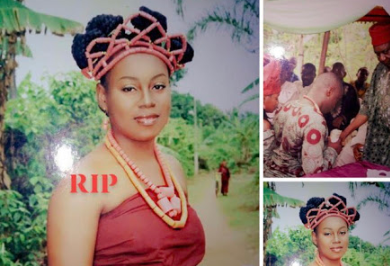 Anambra people have this hatred for imo women. 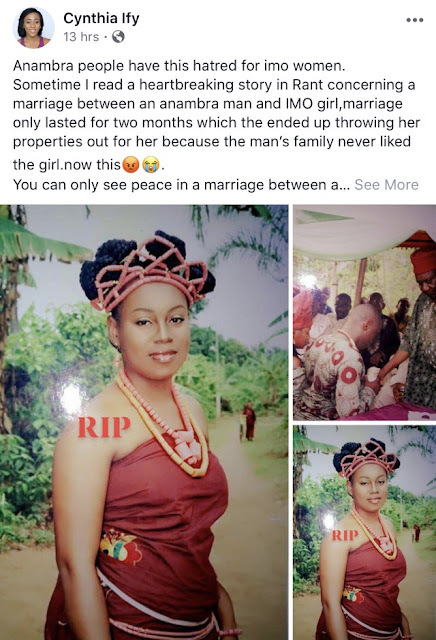 Sometime I read a heartbreaking story in Rant concerning a marriage between an anambra man and IMO girl,marriage only lasted for two months which the ended up throwing her properties out for her because the man’s family never liked the girl.now this😡😭. You can only see peace in a marriage between an IMO state man and anambra lady not the other way round. Please ladies give me your attention. Any relationship that your boyfriend’s/fiancé parents doesn’t approve of and you’ve done your best to make them love you yet they refuse. Sweetheart, please in the name of God Almighty,run for your dear life. Your life is worth more than that. Take a very good look at these pictures here, that was my sister though she’s gone(Dead). Well, some years back my big sis met this guy and they fell inlove,they dated for over 7 solid years,but his parents were against their Union. The mother,father and his elder sister in particular hated her with passion. Despite the fact that she loves, respects and showers them with gifts. 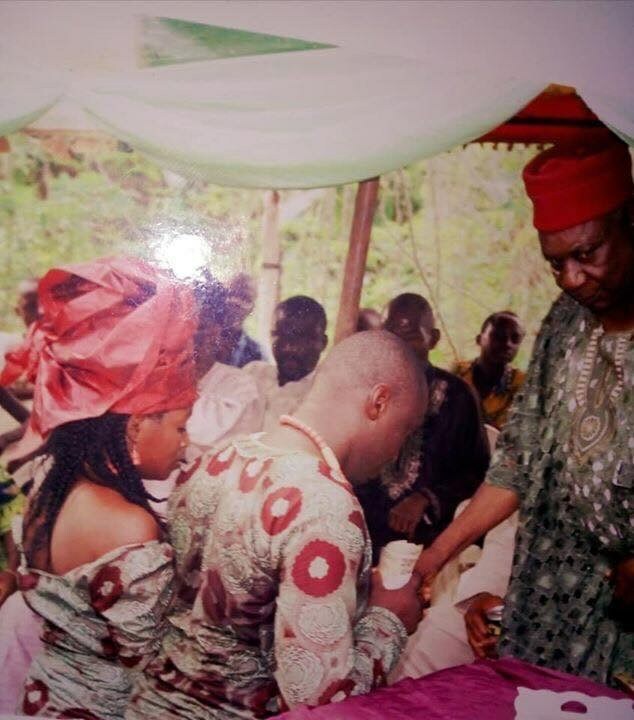 His father’s reason (according to his son) was that, he can’t marry an Imo lady an educated one at that. His mother’s reason was that she wanted a very light skinned lady for her son. We tried all we could to separate them including involving the police, but all to no avail, he vowed that he’d rather die than break up with her and so did my sister. Meanwhile, while they were still dating, sometimes his parents come to my sister’s abode and beat her up warning her to stay away from their son. And she kept it all away from us(Her family). Along the line she took in and had a son for him. Yet his parents vowed and said over their dead bodies would they ever consent to their union. Five years later,his family finally came to us pleading and saying that they have agreed that their son should finally tie the nut with my sister. But I refused,likewise my mom and my siblings. I told them that after several years of hatred on the poor girl, why the sudden change? What prompted that sudden love for her? Is it cuz she now has a son for their son? But my dad after several consideration thought it was wise for her to accept him,that being a single mom would bring down her dignity and prestige before her fellow women in the society someday, even if she’s capable of taking care of her child alone. That was it,the traditional marriage was held on the 20th Feb 2012 in my hometown. She followed her in-laws home that same day(As tradition demands). About a week with them in their home in Oba Anambra state,they brought her home very sick. A week later she passed on in Usman Danfodio Teaching Hospital Sokoto state(UDUTH). After the doctors discovered she had food poisoning which was meant to kill her slowly. She died right in my arms in the hospital,after vomiting so much blood. Not only that, She also engages her so called in-laws in physical combat,and recently her father in-law passed on mysteriously. So my dear,there’s more to marriage than just you and your spouse. The both families have to appreciate,love and give their consent otherwise you might not find peace in that home, that’s if you don’t end up loosing your precious life along the line. Like my sis. Nobody is worth dying for all in the name of love. Cus the moment you’re gone they’ll move on with their lives. Be wise my sister. Imo and Anambra, are they not the same igbo?